In Part III, we learned of George Washington Carver’s work at Tuskegee Institute and a few of his many inventions. This is the conclusion of George Washington Carver: Grandfather of Sustainability. This brilliant mini-biography by Cheri Colburn first appeared in Greenwoman #2. It’s available in that issue, or in its entirety as an ebook on Amazon.com. Carver’s mission was clear, and he had no split loyalties: He desired to improve the lives of African Americans. This, of course, was the mission of Tuskegee itself, and Booker T. Washington sought to make it the mission of Tuskegee graduates as well. During commencement exercises, Washington would say things like “Go back to the place where you came from and work. Don’t waste too much time looking for a paying job. If you can’t get pay, ask for the privilege of working for nothing.” In that spirit, many little Tuskegees cropped up in small settlements and crossroads across the south from Virginia to Texas. But this method of spreading ideas and information was slow for Carver’s purpose. He knew that black farmers were in crisis, and he wanted to ease their suffering sooner not later. So Carver created other ways to reach the farmers. His first year at Tuskegee, he set up an Experiment Station to show what could be done to enrich the soil and improve yields. One of his first experiments was to plow the old kitchen dump and plant several crops—onions, watermelons, and corn, to name a few. This experimental garden became a showplace of productive fertility. The yield was high and the fruit and vegetables were large. So that his results would reach the people who needed the information, he invited Southern farmers (black and white) to visit the school. These “Demonstration Days” began small but soon grew to include hundreds of people yearning to know more. Eventually the Demonstration Days became the Farmer’s Institute. Once a month, farmers and their wives would come to Tuskegee to receive information and instruction regarding a vast array of topics. They learned about soils and new crops, of course, and they also learned about homemaking: cooking, quilt-making, home-maintenance, and gardening. Basically, they received information about living more productive, healthier—and even more beautiful—lives. With regard to the importance of beauty, Carver had a lot to say, and his thinking was right in line with Booker T. Washington’s. Washington was keenly aware that his school would be judged in large part on its appearance, and he wisely put Carver in charge of beautifying the campus. His first winter at Tuskegee, Carver began to transform the grounds. He had the land terraced, and in the spring (in addition to crops), trees, grasses, and flowers were planted. As Tuskegee became more widely known, Northerners came to tour the campus and the surrounding farms. Booker T. Washington appealed to Southern blacks to spruce-up their properties by painting and whitewashing their homes, recommending that if they could not afford to paint the whole house to at least paint the front. This effort built on itself, and each year the properties looked better than the year before. This effort greatly pleased Carver who felt that when one’s property was improved, so was one’s self-worth. There was a notable absence of pride in the appearance of Southern black homes, largely because improving a property owned by a white landlord might increase one’s rent. But the sharp contrast between Southern black homes and homes Carver had seen and helped to operate in the north was troubling to Carver. He encouraged people to pay more attention to this issue—to paint their homes, to plant flowers for their simple beauty, to maintain their living space (inside and out) for their own comfort and pleasure. Carver also had a sense that beauty—especially the beauty of a well-tended garden—brought one closer to God. As time passed and farmers’ successes accumulated, excitement grew. More and more people attended the Farmer’s Institute and joined in the demonstrations, bringing their products for show and discussion. From this new pride grew the Macon County Fair—and soon after many other county fairs. Produce was the focus of the first fair (in 1898), but the women soon got involved, adding quilts and canned goods and needlework and home-cured meat to the displays. In 1903, Professor Carver spoke at the fair, extolling the benefits of (what else?) sweet potatoes and cowpeas. In fact, Carver—a naturally quiet and modest man—had been a public speaker since his days at Ames. Back then, he would lecture at mycological gatherings (and of course and always in the classroom). But from his earliest days at Tuskegee, he spoke at small gatherings of farmers. Carver had a wagon that he drove into the countryside to reach people who could not attend Demonstration Days or the Farmers’ Institute. In it, he carried information about increasing profits and improving health—along with preserves, seeds, and even slips of roses to share. During these outings, Carver would often stay in the very modest homes of the people he was seeking to help. People were proud to have such an important man staying in their homes, and Carver was such a warm and unassuming person that any intimidation they might have felt quickly dissipated. He was not only admired but widely loved. Carver’s speaking efforts and skills eventually reached a broad and prestigious audience. Widely known as a champion of the lowly peanut, Carver was invited one year to speak at the Peanut Growers’ Association. He astounded the (white) men who were in attendance with all he had learned and all of the products he had developed. As a result of that presentation, he was invited to speak on behalf of the Peanut Growers Association in a presentation to Congress in 1921. Peanuts from China were threatening the ability of US growers to make money on their crops, and they wanted Congress to institute a tariff. Carver waited many hours for his turn to speak and was then told that he only had a few minutes. He opened his boxes, began to speak, and as always, captivated the attention of his audience. He was allowed to deliver his entire message, and in the end, the peanut growers got their tariff. Carver was not only a gifted speaker; he was an accomplished writer as well. As a part of his effort to disseminate information, he started publishing bulletins as soon as his work at Tuskegee began. He published the findings from the experiment station on topics such as soil conservation, crop rotation, and composting. He published bulletins nearly every topic that he thought would improve the lives and profits of Southern farmers: his peanut, cowpea, and sweet potato recipes; ways to preserve food; raising chickens and animal husbandry. Carver also wrote a syndicated newspaper column—“Professor Carver’s Advice”—in which he answered readers’ questions. Whenever possible, Carver tried to be proactive regarding insect infestations and livestock diseases. He wanted farmers to have the information about these problems in hand before the problems arrived. And so it was with the boll weevil. When he recognized that a plague of boll weevils was advancing on Alabama, he published a bulletin advising farmers to diversify their plantings. Many farmers listened to him, creating a surplus of peanuts and sweet potatoes and inspiring his work (mentioned previously) to create commercial markets for these crops. As if all of Carver’s aforementioned accomplishments are not enough to make us all feel like a bunch of TV-watching slackers, I will tell you that this (not so) little article barely scratches the surface of Carver’s contributions. He tracked the weather for the bureau in Montgomery. He continued to study fungi throughout his life and to make contributions to the general library of information on the subject. He also contributed to efforts to catalog medicinal plants for the Smithsonian Institution and the Pan-American Medical Congress. As a child in Mariah Watkin’s household, he was taught to believe in the curative powers of plants (and therapeutic massage as well). 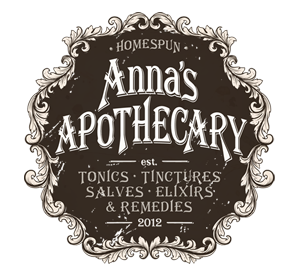 In this effort, he did not merely consider plants that were well-accepted as medicinal plants; sensing that many plants had poorly understood potential, he also those considered plants known only as household remedies. Carver found time to help not only with lofty efforts but also with earthier concerns. From the beginning, farmers could bring him soils for testing and receive advice about fertilizer. They could bring weeds for naming and receive advice about control techniques. They could bring him well-water for testing and receive not only information about its potability but also the advice to install a pump: when you lower a bucket into a well, you are introducing bacteria from your hands, from the cattle you’ve just been tending, from the chickens who scratch in the surrounding dirt. Essentially he would help any common man who would also help himself. As Carver became more and more widely known, important people from around the world began to consult with him. The Colonial Secretary of the German Empire came to Tuskegee to observe Carver’s cotton hybrids. A man from Queensland Australia acquired some seed from Carver and passed them to the Australian government. Carver heard back years later that the crop was being grown successfully all over the country. African heads of state also consulted with Carver about his pet crop—the peanut of course. The peanut is a hearty plant (which is proposed to have come to America in the hulls of slave ships). Originally from the tropics, it can withstand draught better than most plants, shriveling in the heat but coming back to life with just a hint of moisture. In addition, it seeds itself by becoming top-heavy and bending its seeds back toward the earth. Peanut “milk” put an end to a tragic practice that had formerly been carried out in African nations where cattle could not be kept. When mothers died in childbirth, their infants were often buried with them. With the peanut, these children could survive. Though Carver loved children, he never had any of his own. Once he attempted to foster a boy at Tuskegee, but the boy did not have the disposition for hard work and study, and he eventually left Carver’s side. Carver never married, and although both of the books I read mention one woman who caught his eye, little came of that relationship. In Holt’s version of events (which presumably matches Carver’s own), she did not understand his devotion to his work; in Elliot’s version, Carver would not ask her to. Since Carver’s death, there has been speculation that he did not marry because he was gay. And perhaps that was the case. I often found myself, reading about certain subtle details of his life, wondering if he might be gay. He was recently (2007) included in An Encyclopedia of Gay, Lesbian, Bisexual, Transgender, and Queer Culture based partly on Holt’s account of his life. Specifically, Holt describes Carver’s late-life devoted friendship with his assistant, Austin W. Curtis, Jr. Carver willed his portion of the profits from Holt’s book to Curtis, and (perhaps notably), Tuskegee fired Curtis upon Carver’s death. But Carver was a private man, and he lived during a time when public figures were allowed truly private lives. In fact, failing to subscribe to the notion that his intimate life (or possibly his lack thereof) is our business, I feel I’ve said more than I should have. But I wondered about it, and I thought you might be wondering too, so there it is. If you want to know more on the subject, I leave you to the library shelves. Over time (and partly owing to his speech before Congress), Carver became a famous and important man (back then, the meaning of the words famous and important were much more closely aligned than they are today), and his efforts attracted the attention of many other famous and important people. He became close friends with Henry Ford, for example. In fact, their affection was so great that late in Carver’s life, when he became frail, Ford had an elevator installed in Carver’s building at Tuskegee. Further examples of Carver’s famous and important visitors include the Prince of Wales, the Crown Prince of Sweden, the Vice President of the United States (and, after Booker T. Washington’s funeral, the President as well). Carver received many awards and other forms of recognition. A museum was built in his honor at Tuskegee; the NAACP gave him an award for outstanding achievement; he was awarded a Roosevelt medal for distinguished service in the field of science; the University of Rochester awarded him a Doctor of Science degree. This list goes on, but in deference to Carver’s own disposition (and if you’ve made it this far, in deference to your time), I want to keep the focus on his more down-to-earth contributions, which I hope you’ve tasted throughout this article. Toward the end of 1942, Carver fell down a flight of stairs and never fully recovered, eventually taking to bed. On January 5,, 1943, his friend and Tuskegee’s cooking teacher brought him a tray of food from which Carver accepted only a few sips of milk and spoke his last, “I think I will rest now.” And so he did. 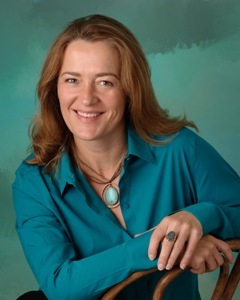 Cheri Colburn is a writer and editor who brings books into being through her midwifery business, The Finished Book. Her “likes” include hiking, the sound of her children’s voices, and long days digging in the dirt. Her “dislikes” include dieting, deadlines, and quitting bad habits. In Part II, we left George Washington Carver as he just accepted an offer from Booker T. Washington to come to a new and financially struggling black college in Alabama–Tuskegee Institute. As the train jostled from Ames, Iowa, to Tuskegee, Alabama, in October of 1896, George Washington Carver, now 35, contemplated the people he saw working in the countryside. It was harvest season, and every available hand was in the cotton fields. As the train passed, African American men, women, and children would straighten a bit, look with flat expression toward the train and then bend again into their work. Already Carver was getting a sense of slavery’s aftermath in the Deep South. Carver likely also contemplated the task he had agreed to undertake. He had myriad responsibilities at Tuskegee. Perhaps most obviously, he was to teach. He was also charged with making money for Tuskegee’s operating expenses by planting cash crops. Last and most importantly, he was to contribute his efforts to the overriding goal of the school: to educate and improve the lives of African Americans. Carver held this final goal most closely. Nevertheless, once enrolled, his students found themselves engaged in harshly familiar work. They tilled the soil, cleared land, and planted crops. But they also received a whole new perspective on the study of plants and how they grow. In fact, this perspective was not just new to his students; it was new to the field of botany. Holt wrote further of Carver’s Sunday morning talks: “For Professor Carver no conflict existed between religion and science; science confirmed the Scriptures rather than opposed them, and God and the spiritual world were closely united to the natural world.” Later in his life, Carver was the object of some suspicion for his poorly understood and often misquoted religious views, but he held fast. As far as he was concerned, God was to be found not only in church but also in the very dirt beneath his feet. With this subject—dirt—Carver was deeply concerned. After all, he was charged with making money via crops to help support the mission of Tuskegee. Tuskegee had some benefactors, but the goal was to be self-supporting, and in this effort, student tuition was not much help. Students were never turned away from Tuskegee, and many of them worked their way through. They worked in the fields, baked bricks from clay soil, built badly needed new structures, dug ditches to route water. They cooked, they cleaned, they sewed, and they did laundry. But they often did not pay tuition. As a result, the school badly needed to show a profit in the form of crops, and making money from the land surrounding Tuskegee was no small task. Like most of the land in the South, Tuskegee’s grounds had been completely wasted by cotton—a deep feeder that had blanketed the land for over a century. Carver knew that the soil must be enriched, and he implemented new practices to do so. While established practice said that plowing should be shallow, he plowed deep so that the plants could reach fertile soil. While established practice said that last year’s growth should be burned off, Carver tilled dead stalks back into the ground. While established practice said that kitchen waste was garbage, he mined garbage heaps for their rich soil, tilling it back into the fields. 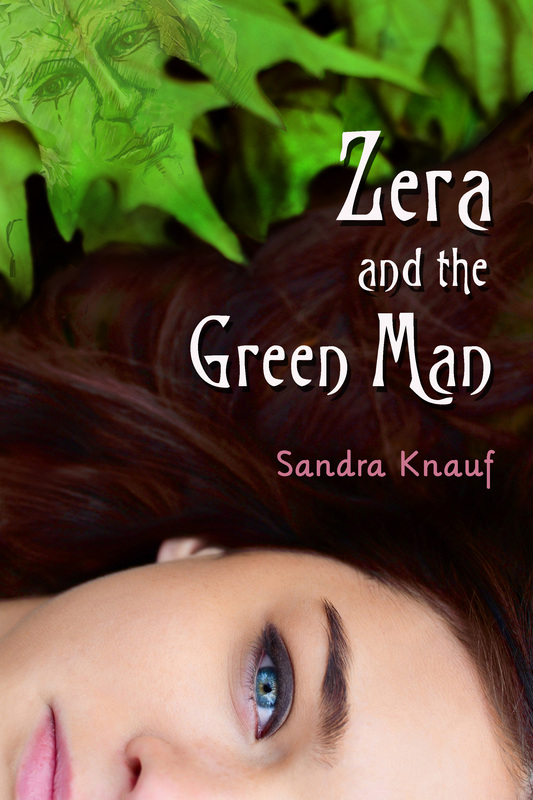 He also began a compost pit adding all of the school’s organic waste—paper, leaves, rags, grass, weeds, kitchen waste, street sweeping—anything that would rot. Carver knew that the crops he championed were good not only for the health of Southern soils but also for the health of Southern people. Carver was deeply concerned with what he observed to be an unhealthy diet of cheap meat and starch purchased in the stores of white landholders. He knew that if Southern black farmers diversified their plantings, both their health and their wallets would be improved. Cowpeas (better known, by me at least, as black-eyed peas) had long been grown as feed for livestock, but Carver encouraged people to add them to their own diets. He also knew that “Pound for pound the peanut topped sirloin for proteins, the best potatoes for carbohydrates, and the best butter for fat.” (Holt) And he knew, as most nutrition-conscious people today know, that sweet potatoes are extremely high in vitamin A and fairly high in vitamin C as well (not to mention high-quality, fiber-rich carbohydrate). But there was a double-edged problem. First, people must be convinced that these crops were both nutritious and delicious. Second, they needed to be able to make money on what they planted; in other words, if the Southern farmer was going to plant legumes and sweet potatoes, there needed to be commercial demand. Carver set to work. Carver knew that the crops he recommended would have to be not only pleasing to the soils, but pleasing to the palate as well. Most families had always planted a few “goobers” here and there next to fence posts as treats for their children and sometimes as feed for livestock. Carver wanted to convince them that legumes could be a larger part of their diets, so he used the cooking skills he’d developed over decades to create over 100 ways to prepare peanuts for consumption—including dishes as wide-ranging as mock chicken and desserts—and he created 18 recipes using the cowpea. In his laboratory, Carver created hundreds of products from the peanut. He created (merely for example) milk, butter, meal, cold drinks, oil (cooking, salad, and industrial), lotions, face creams, and face powder. From the sweet potato, he created laundry starch that could be made not only commercially but also at home, theoretically improving the bearing of all those who used it. Carver not only created new products; he also worked to stimulate a demand for them. In this last effort—stimulating demand—Carver was helped along by the first World War, which brought the flow of German chemicals, fertilizers, and dyes to an abrupt halt. The head of one dye producer, upon learning of Carver’s work, sent him a blank check indicating that Carver could come to work for his company and become a wealthy man. Carver declined that offer and many similar offers over the years (including a $100,000-per-year offer from Thomas Edison). In fact, Carver’s wish was for enterprising people to take his ideas and develop them; he never profited from his inventions and rarely even took a patent. To offer a little more insight into Carver’s character, I have to tell you that Carver rarely profited financially from his tireless effort. He was hired at Tuskegee for a salary of $125 per month, and that was his wage for nearly 40 years until he died. Carver was hard-pressed to even find time to cash his paychecks (which confounded Tuskegee’s bookkeepers). Instead, his habit was to stash them into books or boxes and to offer them up when hard-working students needed assistance or when Booker T. Washington himself told Carver of the school’s need. When he died, Carver had over $30,000 in the bank, and he donated that money back to Tuskegee. Stay tuned for the final installment of George Washington Carver: Grandfather of Sustainability next week! A beautiful haiku about a beautiful berry . . . called, forgive my repetitiveness (I’m playing with you this fine morning), beauty berry! I couldn’t resist including a photo of the blooms–ah, dreams of spring! 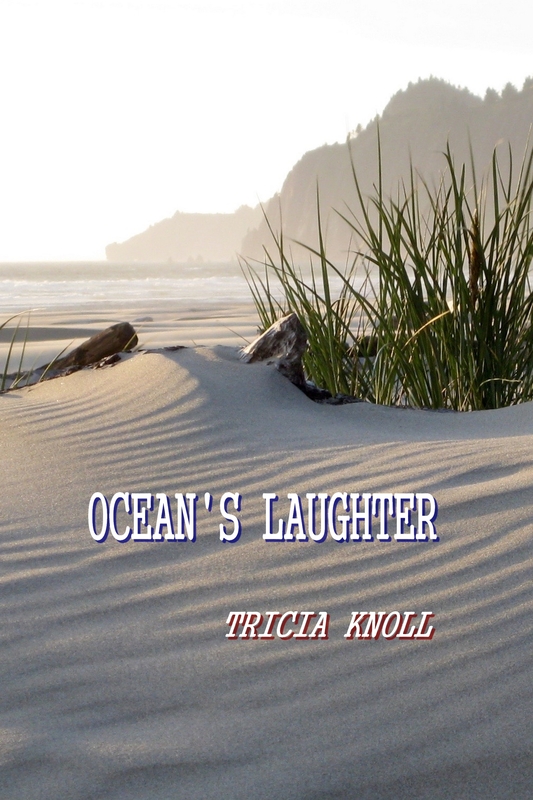 Tricia Knoll is a Portland, Oregon poet who has maintained gardens all her life, sowing the seeds of sanity. She grew up admiring her mother’s roses and vegetable garden. She is an Oregon State University Master Gardener and volunteers at Portland’s Washington Park Rose Test Garden. 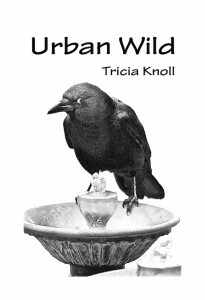 Her chapbook Urban Wild is available from Amazon and focuses on interactions between humans and wildlife in urban habitat. In Part I, we learned about George Washington Carver’s early years, from his birth as a slave in Missouri through his early education. We left during his teen years, as he finds a ride with the Smith family to find more schooling, and, hopefully, more opportunities, in Fort Scott, Kansas. The Smith family dropped George off on Main Street and drove away. Once again he was in a strange town with nobody expecting him. He needed work and a place to stay. He began knocking on kitchen doors and was directed toward the home of Lucy Payne, who needed help cooking for her very particular husband. George assured her he was up to the task, but that was a bit of an overstatement. George was used to cooking very basic foods, and Mr. Payne was used to eating a more refined diet. George was in a tight spot. He told Miss Lucy that he would like to watch how she prepared the food so that he would do it just right. George’s habit of “I want to know” and “I can do that” served him once again; Mr. Payne congratulated his wife on finding such a fine cook. After George had saved enough money for books and a place to stay (he had been living in a small room under the Payne’s back stairs), he left his position and went to school. That became the rhythm of his life for the next two years. He worked until he had money to go to school. Then he went to school until he ran out of money. During this time, George did all kinds of household work, making the most of all of both his skills and his work ethic. But none of George’s hard work, none of his good luck, and none of his native talent and studious nature could protect him from the racism that was all around him. His authorized biography (Holt) mentions very few racist incidents, reflecting Carver’s tendency to stay on his own path regardless of racism and ignorance (and emphasizing the impact on Carver of racists experiences that are mentioned). The story I’m about to tell is not mentioned in Holt at all. One day Carver (who was in his middle teens) was walking down a street in Fort Scott, carrying his schoolbooks and enjoying the day, when two white men stopped him. They asked him where he got the books, and they demanded that he give the books to them. When George refused, asserting that he had bought them and they were his books, the men—in broad daylight and in front of many very silent witnesses—beat him to the ground and took his books. (Imagine such a trauma for a motherless teenager alone in the world!) George had no money to buy new books, so he simply picked himself up and began looking for work again. Thus began ten years of working and schooling. Carver met and worked for many fine people. He continued his hobbies of lace-making, gardening, reading, and when he had supplies, painting. For work, he “cooked, scrubbed clothes, chopped wood, tended gardens, cleaned rugs, dug ditches, picked fruit, hammered nails, swabbed outhouses, whitewashed fences—whatever anyone wanted done” (Elliot). Over and over again, his “I can do that!” spirit came through. 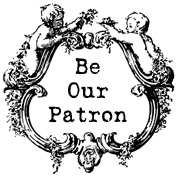 Carver grew into an honorable and God-fearing man, never taking charity but always willing to help people in need. He also developed what would become a lifelong habit of walking at dawn—trudging through whatever natural space was available and bringing home bits of interest such as rocks, Native American artifacts, and plants he wished to investigate. At one point, Carver lived in a town that had another George Carver. When Carver realized that his mail was often delivered to the wrong George Carver, he decided to take a middle initial. People often asked what the “W” stood for, repeatedly suggesting that it stood for Washington. At some point, Carver (who was not altogether comfortable with what might be perceived as the grandiosity of the name) quit correcting people. He became George Washington Carver. When Carver was in his early 20s and enrolled in his final year of high school, he received a sad letter from Aunt Mariah. Nearly a year before, his brother Jim, always much heartier than George, had died from smallpox. Carver felt severed from his childhood and driven toward the bright light of higher education. He wanted to attend college. That was the full extent of the conversation. The principal of the school had barely glanced at Carver before dousing his bright dream. With no money and no destination, Carver wandered to the train station where he sat long into the night. He wanted desperately to leave the scene of his devastation, but he had no choice but to find work. Once again, he wandered, taking whatever work he could find. But this time things were different. His dream was dead. He believed now that his path was merely to make the best of his circumstances. Again, he found work where he could. He worked in a greenhouse and was fired by the nasty, racist owner who accused him of stealing. He thought he might start a greenhouse of his own, but he did not have the resources. He found work where he could, eventually landing in the Beeler household. The Beelers had a son who was homesteading; in 1886 Carver, casting about for some hope, filed his own 160-acre claim south of Beeler Kansas. He built a sod house and put in crops. And so George Carver was to live his whole life. All through his years at Tuskegee (which I will get to in a moment), he rarely gave racists a bit of his concern. He just kept moving forward, focused on his own purpose. In 1890 or thereabouts, Carver met the (white) Milholland family at the Methodist Church where he attended services. When Mrs. Milholland heard George sing, she wanted to know him better. (Carver had a beautiful tenor voice, and his “I want to know” spirit had driven him to learn to use it and to play a little music.) The family invited George into their home, and he and Mrs. Milholland discovered they had much in common. Mrs. Milholland had a greenhouse and, like Carver, a passion for gardening. She was also an amateur painter. When George saw the sorry condition of her brushes and palette, he immediately began to set them right. Seeing that he was expert with the tools, Mrs. Milholland asked if he had advice for the painting she had underway. From that point forward, Carver gave her painting instruction in exchange for piano lessons. Over time Carver became great friends with the Milhollands, and their home was often his as well. As they got to know Carver better, the Milhollands began to appreciate that he was a serious student. (Carver had set up a school for himself and kept strict hours for each subject.) Whether Carver would allow himself to hope for it or not, the Milhollands knew he should go to college. They also knew that Simpson College in Iowa had been endowed by Matthew Simpson, a Methodist bishop and friend of Abraham Lincoln. Simpson had been a believer in the equality of all men, and Mr. Milholland assured Carver that Simpson College would accept him if only he would go. But—after Carver’s disappointment at Highland years before—he required persistent persuasion. Eventually, however, they won him over; one day while scrubbing a customer’s clothes in his little home/laundry service, Carver’s light came back on. He would go to college. Carver, now nearly 30 years old, entered Simpson in the fall of 1890, enrolling in all the classes you’d expect (along with a preparatory course in math, his weak point). Then he presented himself to the art teacher, Miss Etta Budd. She was shocked that a black student would want to enter such an impractical course and required that Carver prove himself and his skills. After two weeks of restless anxiety and labored sketching, Carver did just that. He went on to become one of the finest students Miss Budd had ever known. So when Miss Budd told Carver that she had spoken with her father— J.L. Budd, Professor of Horticulture at Iowa Agricultural College in Ames—and that Ames would take him, Carver sadly agreed that he should go. He enrolled at Ames in May of 1891. During his time at Ames—both as a student and later as an instructor—Carver studied mycology extensively. (I will save you the time I spent looking it up: mycology is the study of fungi.) His descriptions and discoveries of several fungi were added to the general library on the subject. In fact, several fungi are named for Carver; just watch for carveri in your mycological meanderings, and you will find a testament to his work. Carver’s achievements and hard work found a counter-balance in his general enjoyment of life. He joined clubs. He played music at school and community events. He attended church. He made countless friends and was admired by people who knew him. He created an unknown number paintings (unknown because many of them were destroyed in a fire at Tuskegee in the years following his death), and his talent was widely recognized. In fact, during his Ames years, some classmates entered one of his paintings for consideration by the organizers of the Worlds Columbian Exposition (aka, “The World’s Fair) in Chicago. “Yucca and Cactus” was accepted for show. As you might suspect, plants were frequently the subject of Carver’s painting; they were a beautiful combination of his love for art, his love for the natural world, and his interest (conceived in his “plant hospital”) in the why and how of plant forms and habits. Stay tuned for Part III, coming next week. . . .
For weeks now I’ve been asking my (mostly white, mostly well-educated) friends what they know about George Washington Carver. Nearly every response has focused on the phrase, “The Peanut Guy.” As you probably know, my friends are right. If there is one thing you can say about George Washington Carver, it is that he is “The Peanut Guy.” In fact, in his 45-year tenure at Tuskegee Institute, he single-handedly came up with over 200 uses for the peanut. But George Carver was much more than The Peanut Guy. With a curious mix of nature, nurture, and old-fashioned good luck, he was not only an exceptional scientist and teacher; he was an exceptional human being. Before I tell you just how exceptional, I feel I must offer a caveat. Throughout this article, it is not my intention to soften the effects of slavery (of course!) or racism. However, I will be offering perspectives based on my readings about George Washington Carver. One of the biographies I read— George Washington Carver: An American Biography by Rackham Holt—was written near the end of Carver’s life and published (1943) shortly after his death. This book is a beautiful, often poetic, account, and I cannot recommend it highly enough (especially for fans of biography/memoir, fans of history, fans of gardening/agriculture, and fans of humanity). The second book I read—George Washington Carver: The Man Who Overcame by Lawrence Elliot (1966)—was somewhat less compelling. (I went into the book knowing it would not so much offer Carver’s own reflections but rather a more removed, objective perspective.) But by the time I read it, I was a huge Carver fan, and I wanted to know all I could find out. The contrasts between the authorized version (herein referred to as “Holt”) and this version (“Elliot”), were telling. Just a taste of this contrast is revealed by a comparison of the two subtitles: Holt’s “An American Biography” reflects Carvers humility and down-to-earth perspective on his life and his work. Elliot’s “The Man Who Overcame” reflects a bit more grandiosity—warranted in my opinion, but not something that (I believe) Carver would embrace. Carver’s life began with a sizeable portion of bad luck. He was born in 1861 (some more recent accounts say 1864) near Diamond Grove (now Diamond), Missouri in a slave cabin owned by Moses Carver and his wife Sue. From the start, he was a weak and sickly baby, and (insult to injury) when he was still virtually a newborn, he and his mother were stolen by night raiders during the Missouri/Kansas border wars. Moses Carver sent a man to find them, and that man returned with only baby George, near death, wrapped in rawhide. Perhaps his mother, “Carver’s Mary” died from rough treatment so early after giving birth to baby George or perhaps she was simply sold away, but the sad fact is that his mother was gone from him forever. Because his father had died on a neighboring plantation before his birth, Carver was an orphan from the start. Moses Carver had a fairly small operation—basically a subsistence farm—but he still needed help to run it, and that help came from slaves. Moses owned George’s mother, Mary (and her children), and for a time he had owned George’s father. But Moses was never in full support of slavery, and he was apparently glad when it ended. (Both biographies assert that he sent the scout to find Mary and George not to reclaim his property but out of concern for their well-being.) Sue and Moses were both greatly pleased when sick baby George was returned to them. According to my sources, two years after Carver’s birth the Emancipation Proclamation was signed, but little changed in young George’s life or in the life of his brother, Jim. Moses and Sue Carver raised both boys as if they were their own children. The Carvers were well-respected people (even though, in a community of Christians, they did not attend church), and they took excellent care of the boys as they grew. George, who never became particularly strong, stayed in the house with “Aunt Sue,” where he learned several homemaking skills—sewing, cooking, and the like—that would serve him throughout his life. Moses and Sue Carver did their best to help George satisfy his appetite for learning. In addition to practical skills, Sue Carver (virtually illiterate herself) taught George every word in her copy of Webster’s “blue-back speller,” and George was allowed to attend Sunday School where he began to learn to read. Unlike many black children of his era, George Carver had a real childhood. When he was just a little boy, he was allowed to wander through the woods, where he had a little plant hospital; neighbors and friends would give him ailing plants, and he would take them into the woods and nurse them back to health. George never lost a patient and came to be known as “the plant doctor.” Once he was invited to the home of a neighbor to help some failing rose bushes. That day changed the direction of George Carver’s life forever. After moving the roses from the shade into the sun, George was invited inside. On the walls of that parlor hung several paintings—the first George had ever seen. He was mesmerized. His “I can do that” spirit kicked in, and from that day forward, he made pictures with whatever he could find. He began by scratching images onto wood with coal and nails, and throughout his life, he drew and painted whenever and wherever he could. Indeed, he seemed unable not to paint. Making art became central to who he was as a human being, and his love for making art provided a counterpoint alongside his career as a scientist. Carver’s appetite for knowledge drove him (always) toward school. He could not attend school in Diamond Grove because it was only for white children. (Separatism and racism were sad specters in Carvers life and times, but I believe it is a testament to his character that he would not allow their wounds to deter him from his own sense of right and wrong or from his own drive toward excellence. But I digress.) Jim and George often ran errands for Uncle Moses in the nearby town of Neosho. On one such trip, George saw a school for black children. When he arrived home, he told Moses and Sue what he had seen and begged to attend the school. But he needn’t have begged at all. Moses told George that he was free and could follow his heart’s desire. Tears stood in Moses and Sue’s eyes the day they sent 10-year-old George down the road with his little pack of food, his cherished pocket knife, and not much else. George did not even know where he would sleep that night; nobody in Neosho was expecting him. (Can you imagine? He was just a little boy!) But Carver’s had a knack good people. After spending the first night in a hayloft, he awoke, hungry, and headed for the school. The school had not yet opened when he arrived, and George perched on a woodpile near a neighboring home. That is where Mariah Watkins found him. Mariah and her husband Andy were well-respected members of the local black community, where they attended church and where Mariah worked as a midwife and laundress. (In fact, Mariah delivered both black and white babies and was widely and deeply loved by people of both races.) Again George was treated as a member of the family, and again he learned many fine skills that would serve him throughout his life. Compared with the Carvers, Mariah and Andy had a bit higher standard of living. They did not have a lot of money, but they had a beautiful home that they worked hard to maintain. Here, George learned about the comfort and self-respect that a beautiful home can provide. He learned home maintenance skills, such as how to whitewash walls and sand floors, and he polished what he already knew about the importance of order and discipline. Working alongside Aunt Mariah to clean customer’s clothing, George refined his ironing and laundry skills (often scrubbing clothes with a book propped in front of him). Aunt Mariah also helped George to improve his sewing skills, including fine stitching and embroidery. He always loved working with his hands, and these finer skills inspired him. During this time, he saw a fancy lace collar on a white woman in town. In stolen, private moments, he copied the fine lacework and presented a copy of the collar as a Christmas gift to an astonished Aunt Mariah. Lace-making became a lifelong hobby of Carver’s, whose hands were rarely idle. Carver also received a spiritual education while living with Aunt Mariah. The same Christmas he presented her with a lace collar, Aunt Mariah gave George a Bible, which Carver read every day for the rest of his life, marking his place with his first effort at embroidery. George also attended church with Aunt Mariah and Uncle Andy, who were devout Christians. Of course he attended school as well. The first day that George climbed over the fence that separated the Watkins house from the schoolyard, Aunt Mariah reminded him that he was free. No longer was he “Carver’s George.” In keeping with the custom of the times, he became George Carver. The schoolhouse was a tiny 11’ x 14’ cabin. Each morning 75 pupils stuffed themselves into the room so tightly that when one person in a row moved, everybody had to make adjustments. The walls were thin, and the children were alternatively freezing or roasting, but few complained. They were there for a higher purpose—to learn. When Carver reached his teens, he had come as close to that metaphorical sun as Stephen Frost could take him. In addition, he had begun to think that perhaps a different climate might help him to shake his sickly tendencies. So when Aunt Mariah told George that the Smith family was willing to give him a ride the 75 miles to the town of Fort Scott, George left Neosho and his happy home. Stay tuned for Part II (coming next week) . . .
a cedar mattress of mulch. to hold secret your May promise. left beyond reason. I raked up black-spot leaves. As fall begins and the daylight wanes, my chickens start molting and stop laying eggs. I haven’t eaten an egg in weeks, but nature is seasonal. Earlier in the year, the peaches ripened and we ate, cooked, and canned as many as we could. Later it was frozen beans and pickled cucumbers, but what all this produce has in common is a season that begins and ends. So it is with eggs. The chickens lay a few in the winter, peak in the summer and stop in the fall. Two years ago, I brought these four birds home as two-week old chicks. When I told people I was getting chickens, we always had some variation of this conversation. The other person, especially if she had known me a long time, would smile indulgently and suggest I was more likely to open a Chicken Retirement Home. Sure enough, the laying hens became pets and I learned from farmers this isn’t uncommon. A three-year-old hen of a breed known for eggs yields tough meat and a certain amount of sadness at slaughter. You’ve cared for her a long time and gotten to know her, maybe she even has a name. It’s hard to let her go. If you want meat, it makes more sense to buy a batch of “meat bird” chicks. They’ve been bred to mature in six weeks and, if not slaughtered, die of heart attacks soon after. It’s easier to maintain an emotional distance and you get the added advantage of meat that’s good for more than stew. The transition from livestock to pets began when I gave my chicks names. It happened naturally, as I watched them grow and I learned to tell them apart by the feather patterns on their heads. They became Redhead, Specklehead, Blonde Chicken and, because her head was somewhere between red and blonde, Middle Chicken. When they grew into their feathers and out of the brooder, I built them a coop, affectionately referred to as “Chicken Shantytown”. Chicken Shantytown consists of a long cage made of hardware cloth with homemade doors at both ends. I’ve boxed in four feet with plywood and straw to protect them from the weather and provide some privacy for laying eggs. Technically, this 30 square foot coop offers enough space for four hens, but every morning they squawk at the door, dragging their beaks along the wire, like prisoners with tin cups. They are. And so I do. All day long, my little bird friends roam around the backyard, doing what chickens were born to do. They run around and flap their wings. They eat all the kitchen scraps in what used to be the compost pile. They hold meetings under the deck. They make me laugh and remind me how to greet every day as an opportunity for something good. And don’t forget about the eggs. During the summer, they gave me so many eggs, I started tipping service providers with them. “Here’s the check for the invoice and these fresh eggs are for you,” I’d say, starting yet another conversation about the novelty of keeping chickens in the city. In this middle season of my life, I want the simplicity and quiet to hear God speak. I want to live like the chickens, expressing the best of my nature. I’d had enough of the rat race and its mirage of success. I wouldn’t trade my homestead and the chickens for any of its offerings. Every day, they remind me to be grateful for that freedom. Bonnie Simon writes about locally owned businesses, the power of community and the American dream in Colorado Springs, CO. Her business, Hungry Chicken Homestead, helps locally owned businesses tell their stories and connect with consumers. Read more about Bonnie and the chickens at www.HungryChickenHomestead.com.